One of the most important things we do as therapists is screen our patients to make sure they are safe after they leave our office. Whether the patient is struggling with depression, anger, eating disorders, substance abuse, family issues, abuse, or suicidal ideation, it is imperative that we make sure our patients are safe and know what to do if they come across a high-risk situation for a relapse of any form. We as professionals are trained to screen our clients for such potential risks and when we have that patient in front of us that worries us, we develop a safety plan. It is imperative that the patient understand what to do in a high-risk situation. This is a safety plan. The safety plan is generalized to fit any kind of situation. It firsts asks the patient to identify the high-risk situations and warning signs. It then asks the patient to list the coping strategies that the patient will engage, along with the support contacts to call (family and friends). 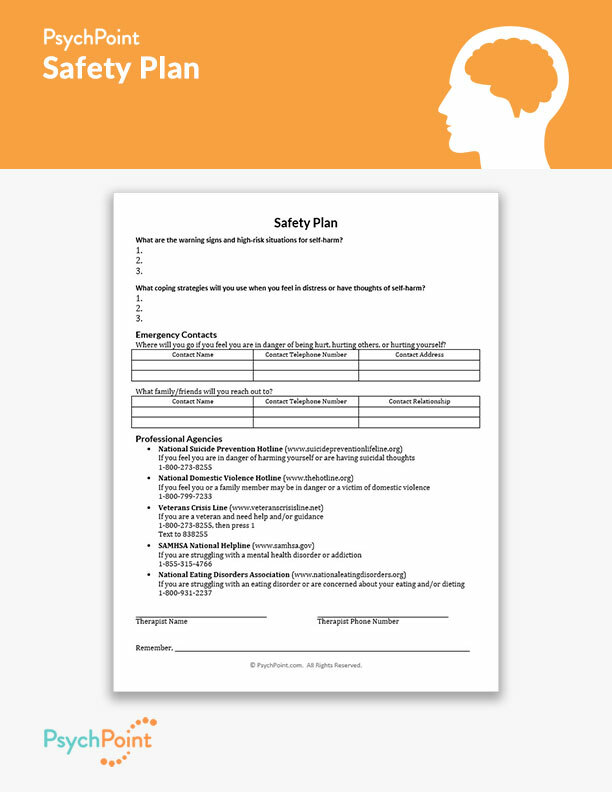 It is important that the safety plan worksheet is completed with the therapist and patient working together. 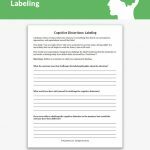 Make sure both the patient and therapist have a copy and plan where the patient will leave the copy where it will be easily accessible in case of emergency. There is also space to list the name, address, and phone number of emergency professionals, like hospitals, doctors, etc. in the event of an emergency. Following this information, there is a list of emergency hotlines that fit a number of issues that patients face and a space where the therapist is to list his or her contact information. Finally, the patient is asked to write a sentence to remind him or herself as a reminder to stay focused on seeking help and to keep trying.